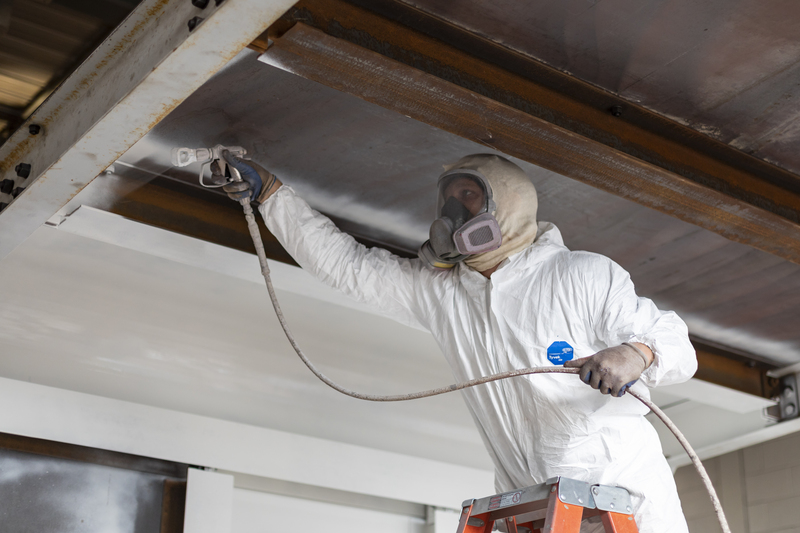 JPW Structural Contracting is proud to be endorsed with a Sophisticated Paint Endorsement (SPE) through the American Institute of Steel Construction (AISC). 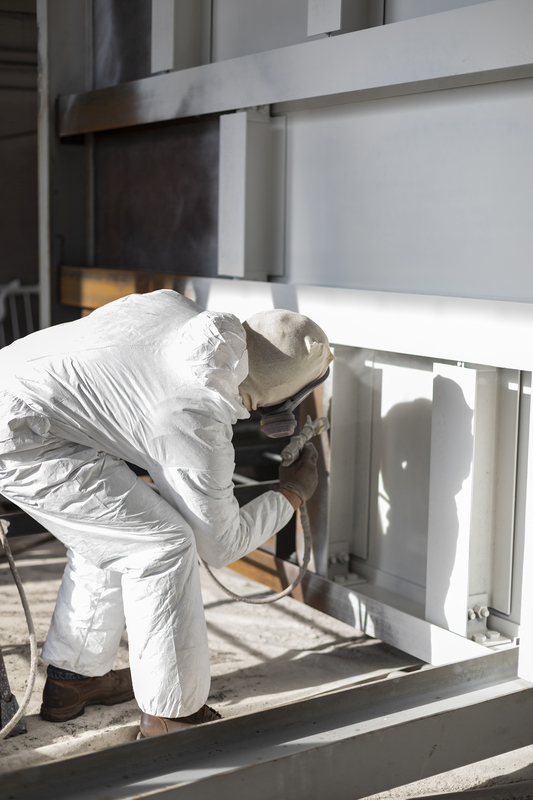 This endorsement holds JPW’s painting facility to a whole new standard when it comes to shop painting. 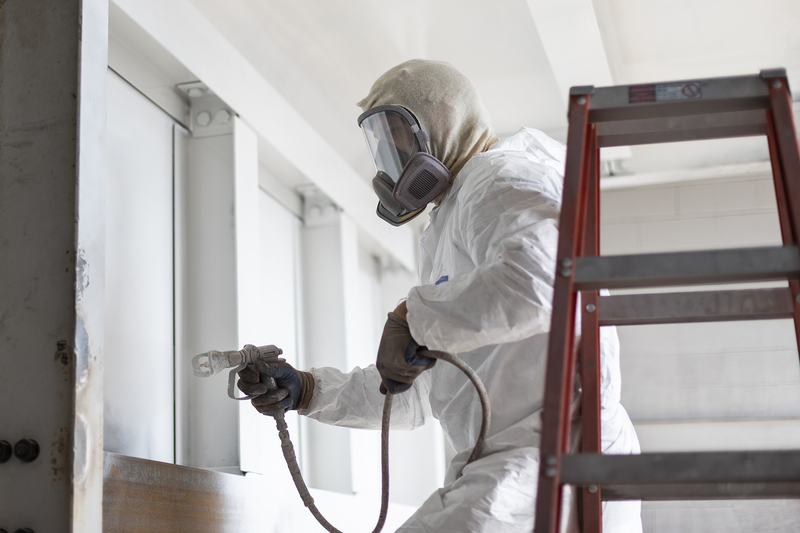 Whether it’s a simple coat of standard shop primer or a complex epoxy paint job, JPW has the skills and the people to get the job done. With the completion of our 75′ x 175′ expansion, the new JPW Paint Bay will have even more capacity and capability. In our separate enclosed Blast Bay, our GOFF shot blast machine adds to the extensive list of state of the art equipment here at JPW. This machine utilizes steel shot to sand blast media, taking a mill finish profile to a SSPC-SP6 finish in minutes. This machine is a huge time saver compared to conventional handheld shop blast machines used by fabricators in the past. Our machine is capable of running a 50’ beam through it in under 10 minutes. A beam of this length would take a person 10 hours doing it manually. The cleanliness of this machine is an added benefit to this machine and it has its own dust collection.